We had our first ever Pumpkin Carving Social on October 25th at the Port Moody Recreation Centre. We voted for the “best” pumpkin at the end of carving, whomever carved the “best” pumpkin got awarded with a donation in their name to the SHARE food banks for our version of Halloween for Hunger this year! Austin Taylor, President from the Whidbey Island Rotaract Club won our Pumpkin Carving Social! We had an amazing turnout with rotaractors from all over the district coming out to have some halloween fun with us! Around this time every year, our Social Committee puts together a holiday party for our club members to unwind and celebrate our accomplishments from the past year. This year, our social’s theme was “Minute to Win It” and we were split up into teams to participate in various activities throughout the evening. We also had a blind gift exchange with recycled gifts. Thanks to our “Social Sisters”, Chantal and Nicole, for organizing this fun event! 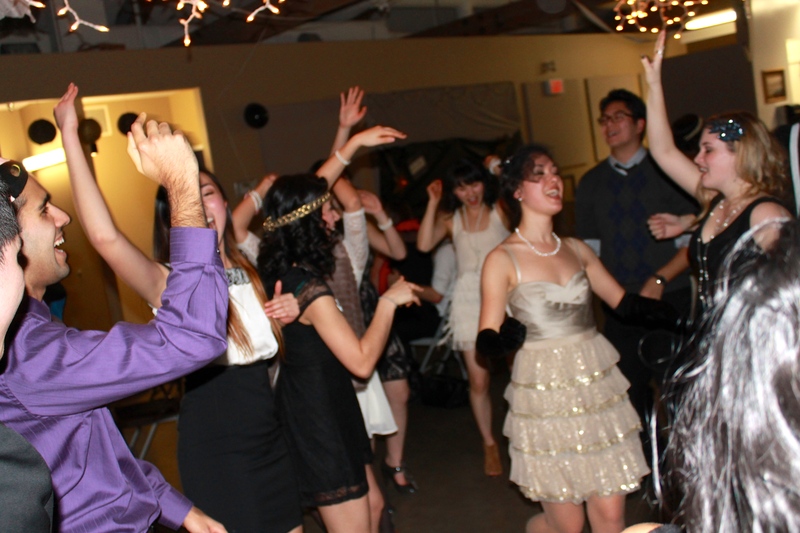 Our first major event of 2014 was a Great Gatsby themed fundraiser held at Old Mill Boathouse in Port Moody on January 11. Featuring a live DJ, cash bar, tons of food, and a photobooth, our guests enjoyed a fantastic night in a beautiful venue (and looked great themselves in their 1920’s-inspired costumes). In total, we raised over $750 to be donated to our current international service project: a bus for St. Dymphna’s Special Needs School in Tanzania. Thank you to all of our friends and supporters who made our first fundraiser of 2014 a night to remember! Check out pictures from our photobooth on our Facebook page. You may also be interested in learning about our previous fundraiser for St. Dymphna’s: a Hawaiian-inspired luau in 2013.